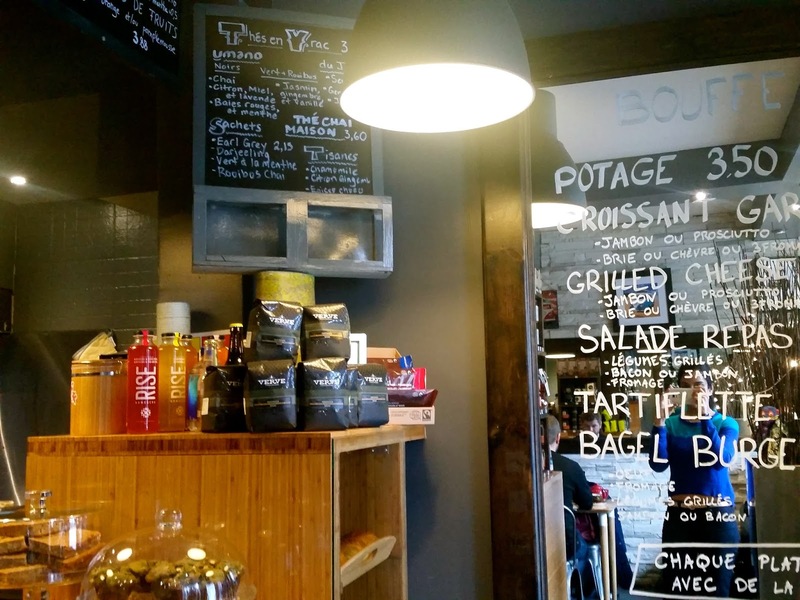 Soucoupe Café is a very cozy café hidden between homes on a residential street in the Rosemont neighbourhood. There is not a lot of seating aside from a few tables and counter seats and they also have a cute children’s’ corner with a kid’s table and sofa. Soucoupe has a permanent terrace on the storefront but it was too cold to sit outside obviously! I really like the décor inside, which was a display of work by a local artist. The atmosphere was very relaxed and casual. 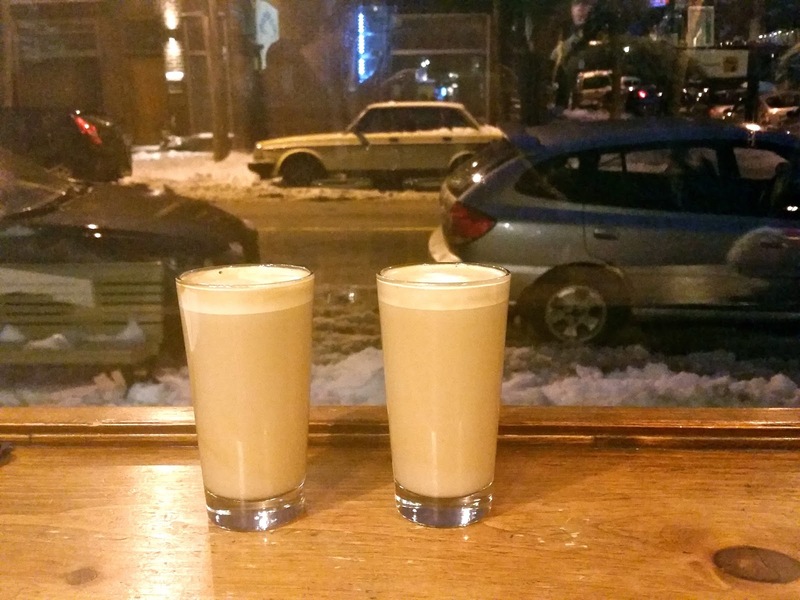 It was absolutely freezing outside but Charlotte and I were nice and cozy inside with our lattes. The food options looked pretty tasty as well with sandwiches, muffins, cakes and other baked goods. Great spot, but no wifi and I’m sure that during peak time it’s not a place where you could sit around for hours. Tomorrow is the last day for the ICP and I only have 1 more spot left! 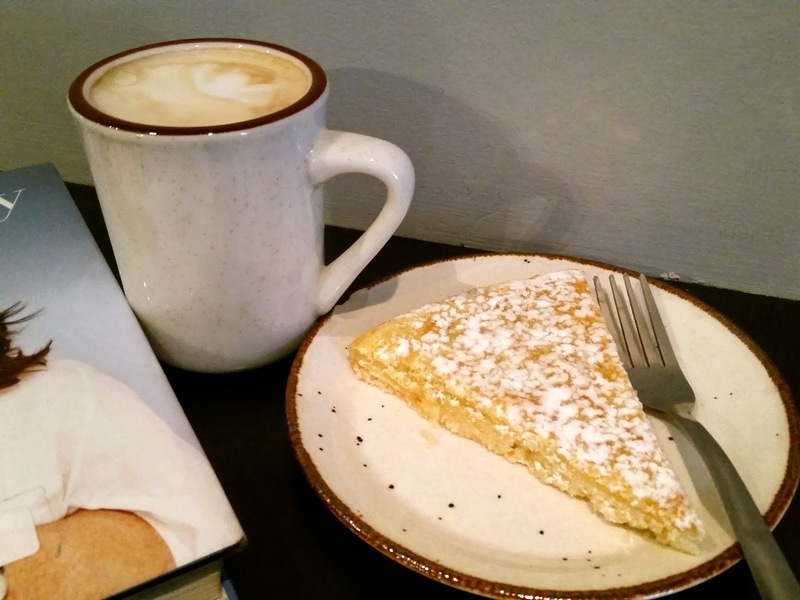 I had a great afternoon at Café Java Mythe today! 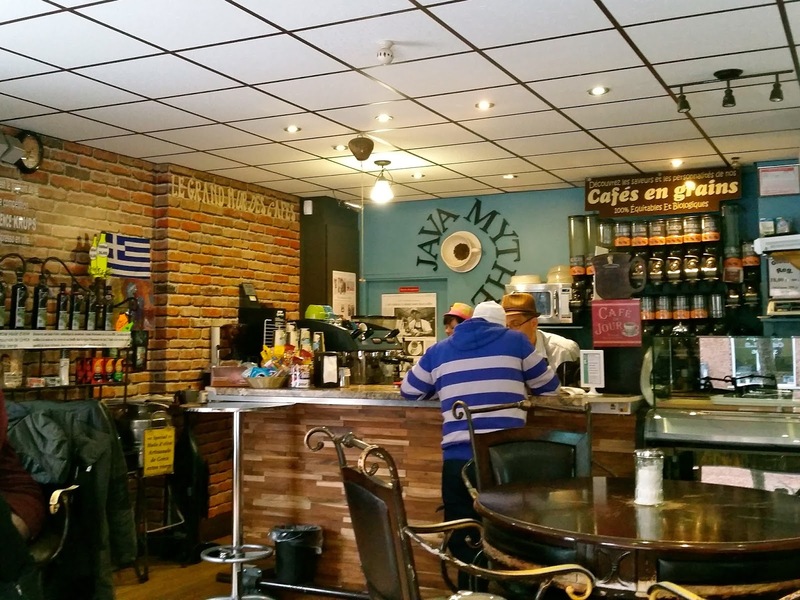 Located just a short walk away from metro Jarry, Java Mythe is a café and bistro with such a warm atmosphere and super friendly vibe! I had been trying to come here for a while but had to schedule it perfectly since they are closed on Sundays and only open until 3 or 5 on weekdays. I loved that the staff made it a point to get to know me and chat with all the other customers as well. 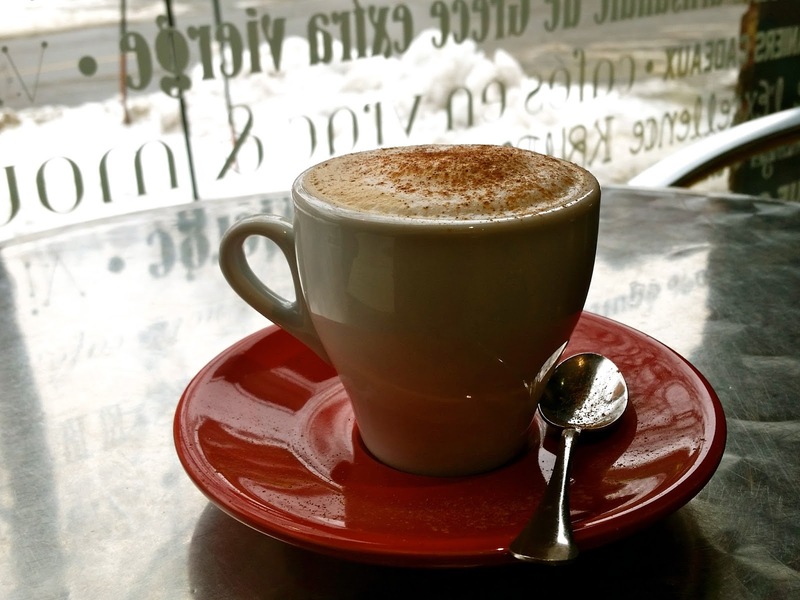 I had an amazing cappuccino topped with cinnamon courtesy of my Indie Coffee Passport. Just as I finished my cappuccino, George brought me a Ristretto to taste and it was hands down the best espresso I've ever had! 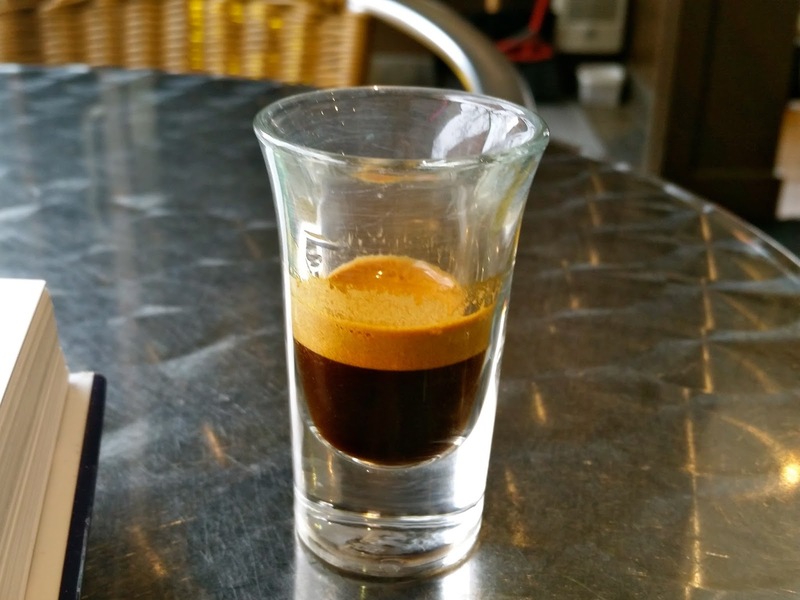 I learned that ristretto is traditionally a short shot of espresso coffee made with a normal amount of ground coffee, but with half the amount of water. It is the sweetest part of the coffee. I didn't think that I would like drinking an espresso but this was amazing! No wonder Java Mythe has been awarded the best espresso for many years by Krups! 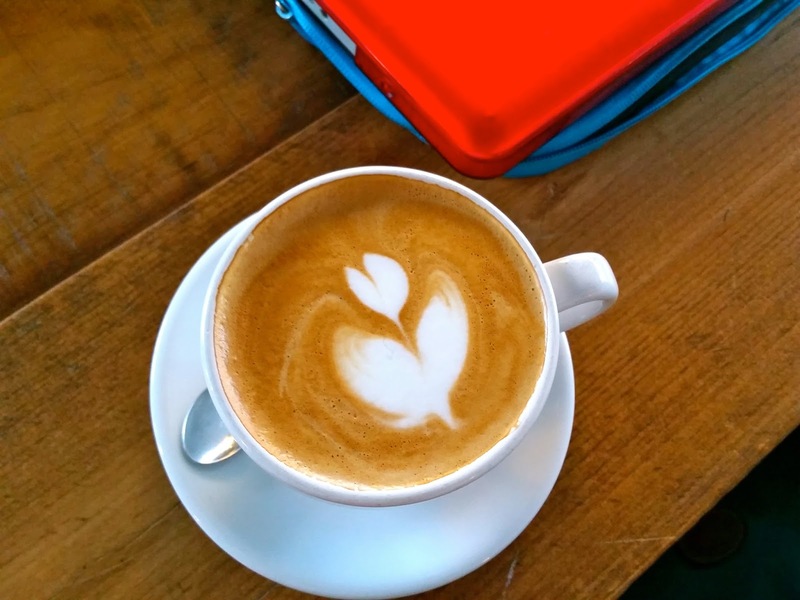 Java Mythe does not have wifi which encourages people to chat and contributes to the overall friendly vibe. If you are looking for a place to plug in, this is not your spot, however you can bring a book to read (like I did) and you can be sure that you'll find good company inside. Even though I do not live close by I definitely plan on stopping by again! 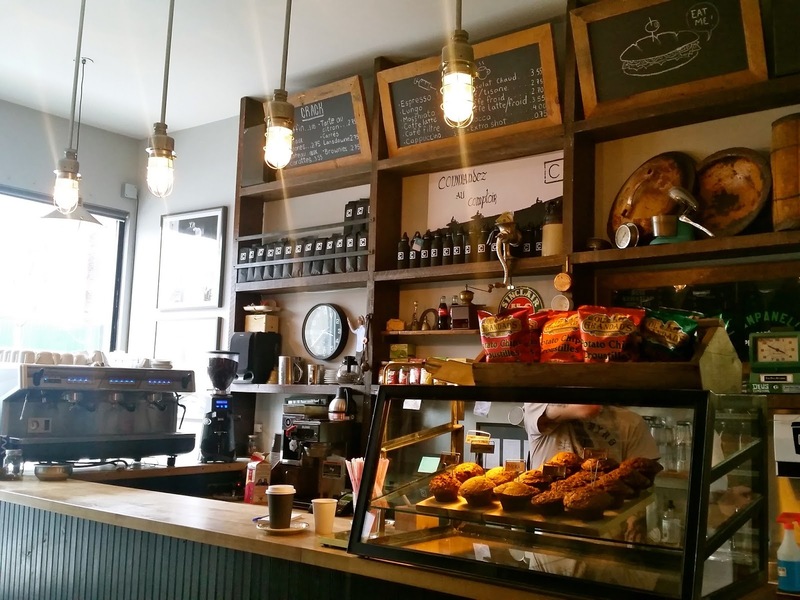 Comfy atmosphere, wonderful service and amazing coffee. What more could I have asked for on my Saturday afternoon? I finished another midterm yesterday, woohoo! I got my hair cut from Aveda and then stopped at Café M to study for my midterm. 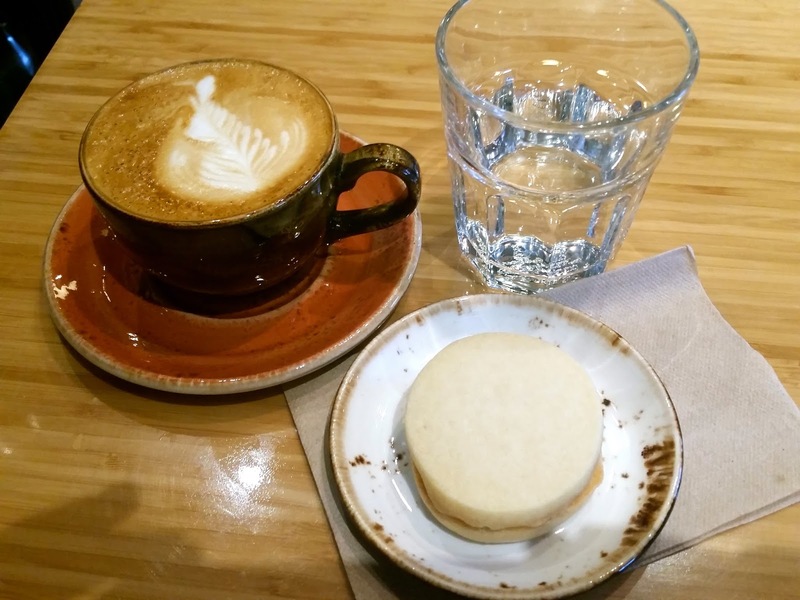 I ordered a latte and Nutella shortbread cookie. Both were delicious! I was pleasantly surprised that the café was pretty big inside since it looks small from the outside. The tables were big and there was also counter space and couches. 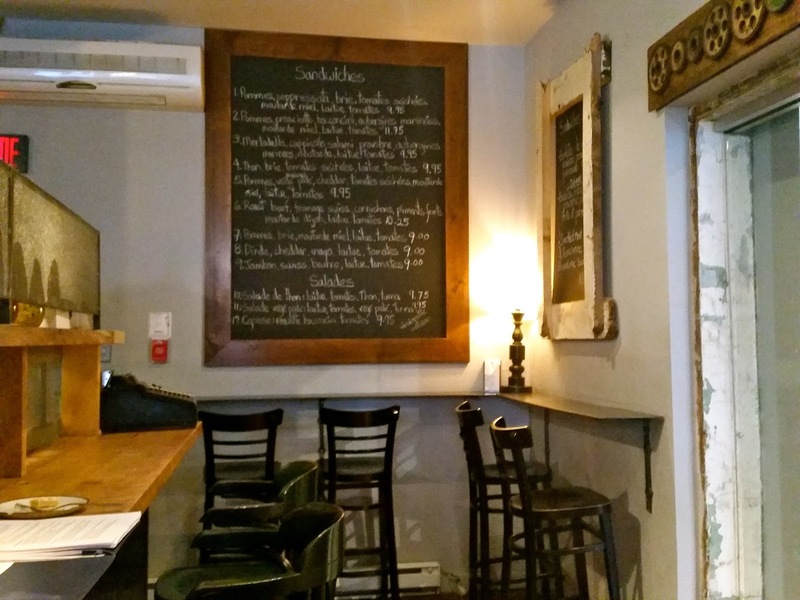 I loved the cozy vibe and the exposed brick inside. It was really nice and quiet with a few other working people. I think it helped that I was there on a weekday in the middle of the afternoon. I liked how friendly the owner was. My favourite part had to be the soothing classical music which was the perfect study soundtrack. I almost felt like I could’ve been in a spa! 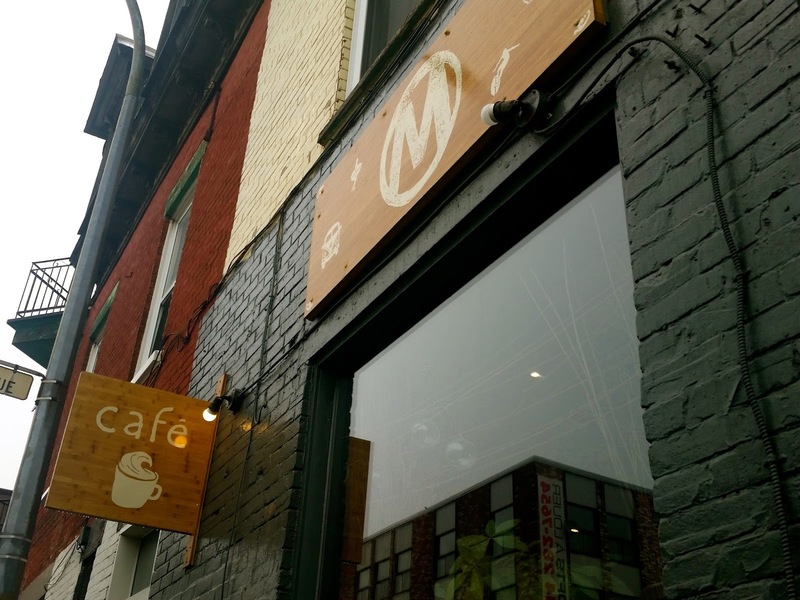 Café M is one of the few places that offers a Chemix pour over coffee. I wasn’t in an adventurous mood so I stuck with my guns and loved my latte. Hope you are all staying cozy with a nice hot cup of joe as well! Hi Everyone! I'm still on track with my fashion challenge! The fur scarf below was a Christmas gift and I am obsessed! I wish I could keep it on all the time!!! Thanks for stopping by. 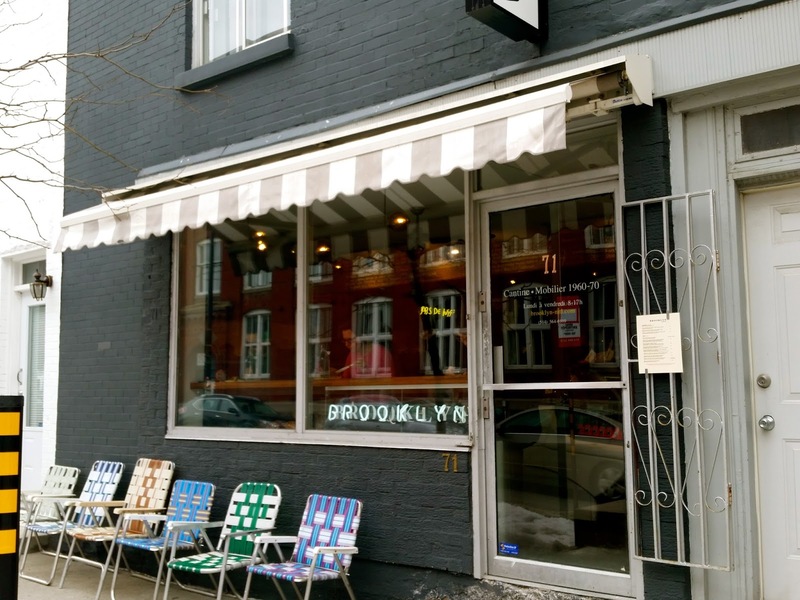 Brooklyn was another great stop on the 2015 Indie Coffee Passport! I woke up early and came straight here for some breakfast and coffee before my midterm!! 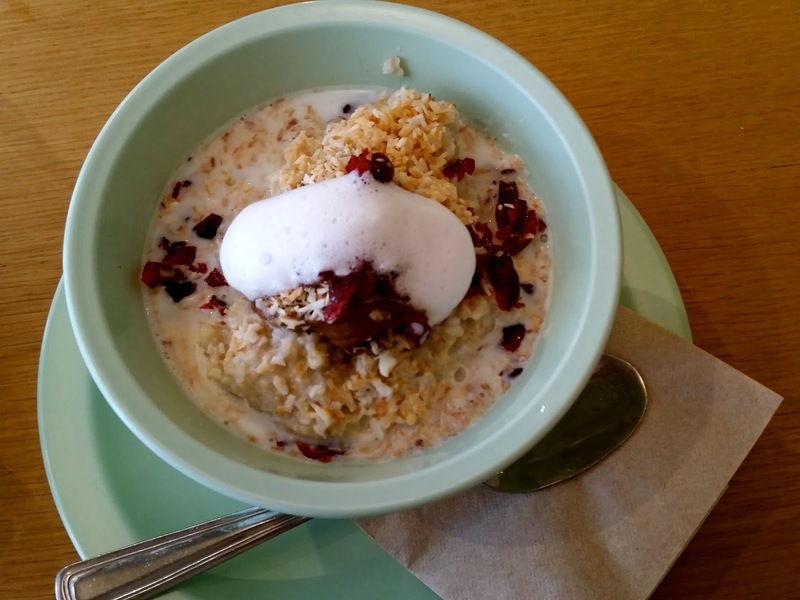 They had an awesome variety of oatmeal options and I decided to order “El Gordo” which was steel cut oats with Nutella, coconut flakes, dried cranberries and a bit of milk. I loved that you could also create your own oatmeal by choosing your ingredients! Their menu also had a lot of other breakfast and lunch items as well as coffee and pastries. I ordered a cappuccino to go with my breakfast and did some last minute reading. The space was really cool. Seating was a bit limited to only counter space and I could tell they get busy during lunch time as I was leaving. 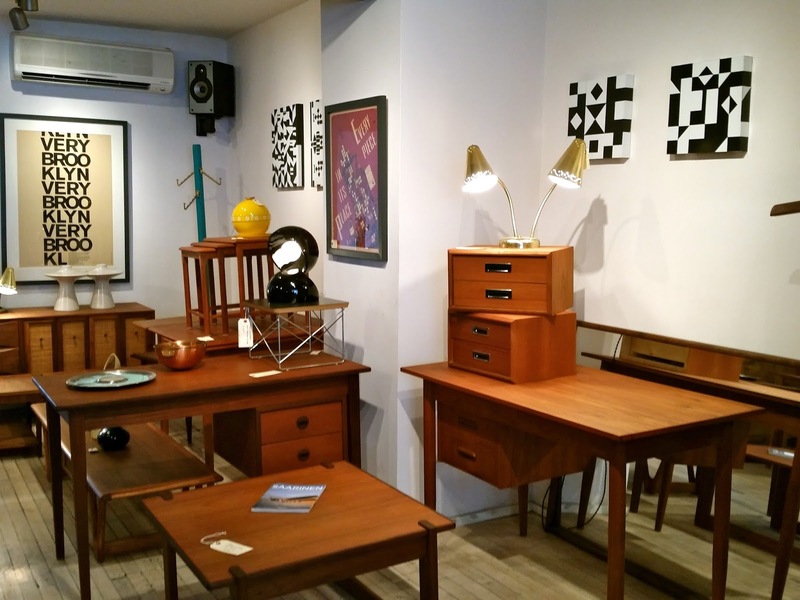 The really interesting part was that they have a lot of mid-century modern décor for sale. 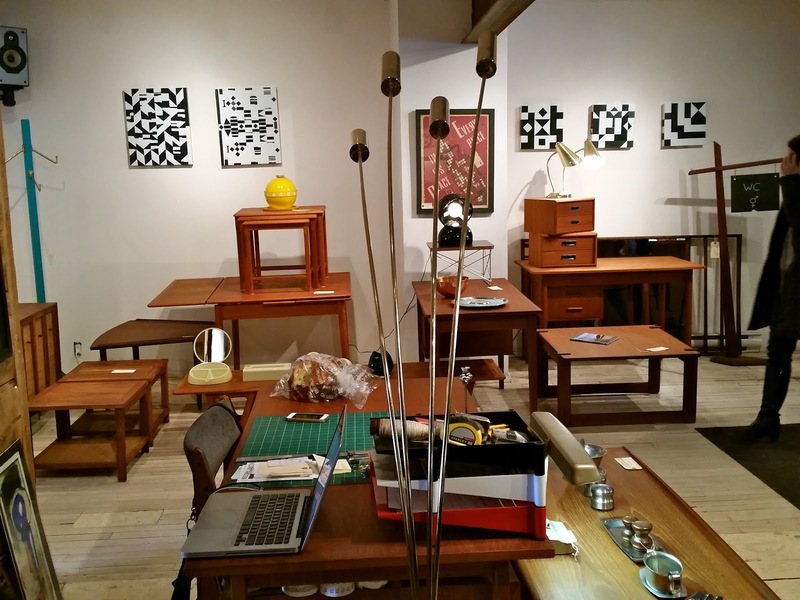 It was cool looking at the pieces there. I also noticed a large conference / meeting room in the back which I think you may be able to rent out for groups. I loved the vibe and the canteen style food. Everything smelled amazing and you could tell that the food was fresh and homemade. If this spot was closer to my office I would definitely swing by for lunch often. Thanks ICP for introducing me to this spot! I am such a fan of of anything nautical, so naturally I immediately fell in love with Café Odessa's anchor logo and café theme! 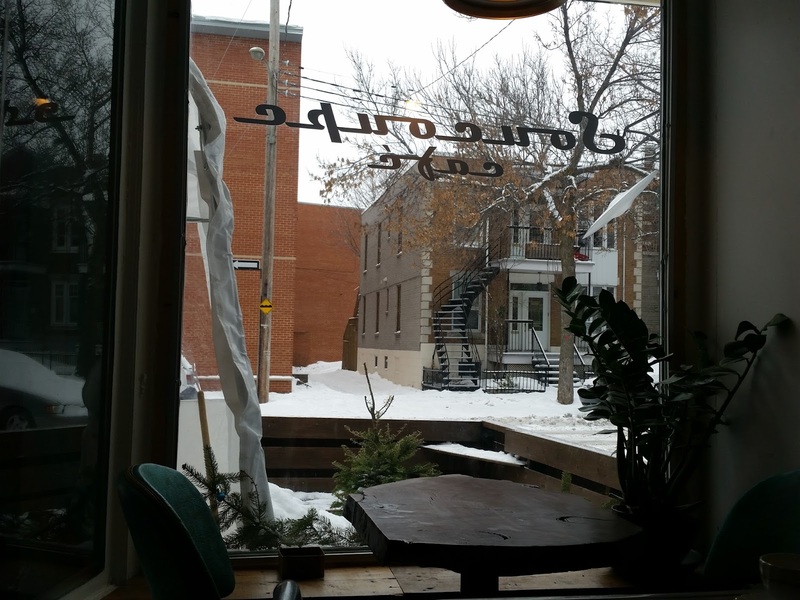 After church I hopped on the metro to Beaubien station and after a short walk found myself at this adorable café. From the outside it looks tiny, but the inside is so cozy and there is a good amount of seating available at the bar and on tables. Charlotte and I found the perfect spot at the bar next to the counter. The surface area was a bit larger there and it was a great spot to spread out our notes and study for our two upcoming midterms! I sipped on my latte, tuned out the world with my nature sounds, and successfully studied for a solid hour! I really loved it here and would recommend it in a heart beat. The coffee was amazing and the staff was super friendly! 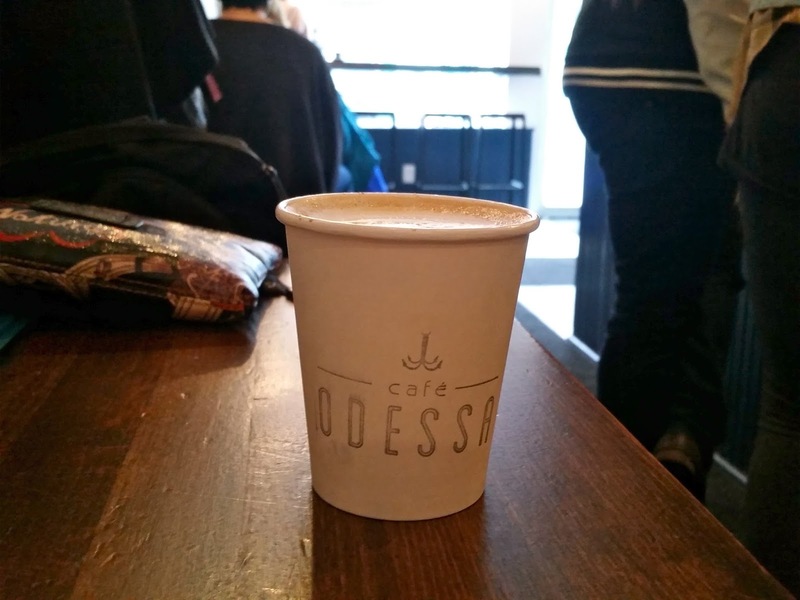 The Indie Coffee Passport adventures continue!!! Le Brûloir is such a beautiful spot in Ahuntsic by Metro Sauvé. The weather was really awful so I ended up taking an Uber to the cafe once I got out of Sauve. I fell in love with the decor immediately! 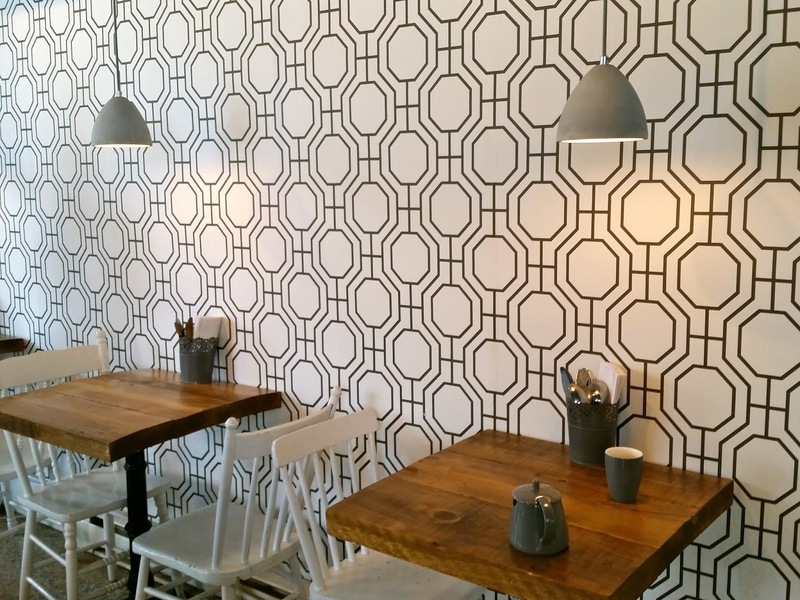 The wallpaper was so unique and I loved the lamps all around the cafe. 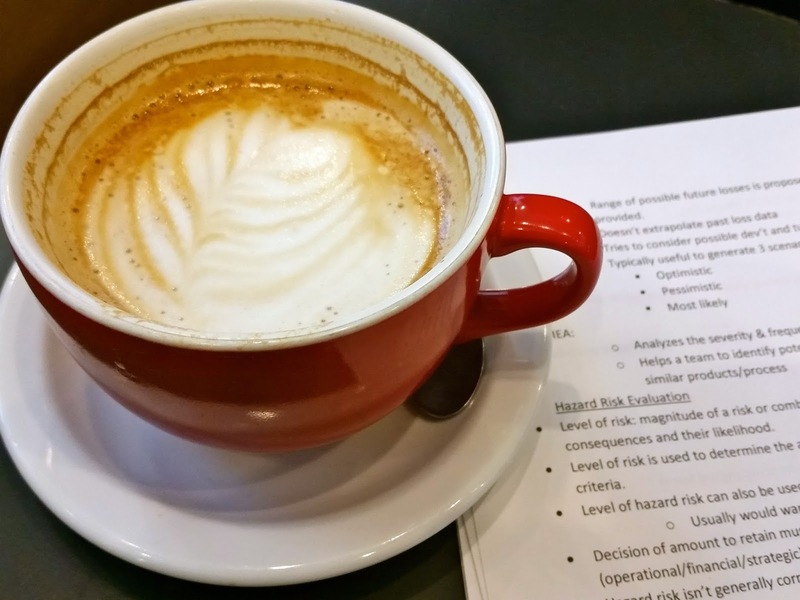 I set up in the midde of the cafe at the big long table to study with my delicious latté. 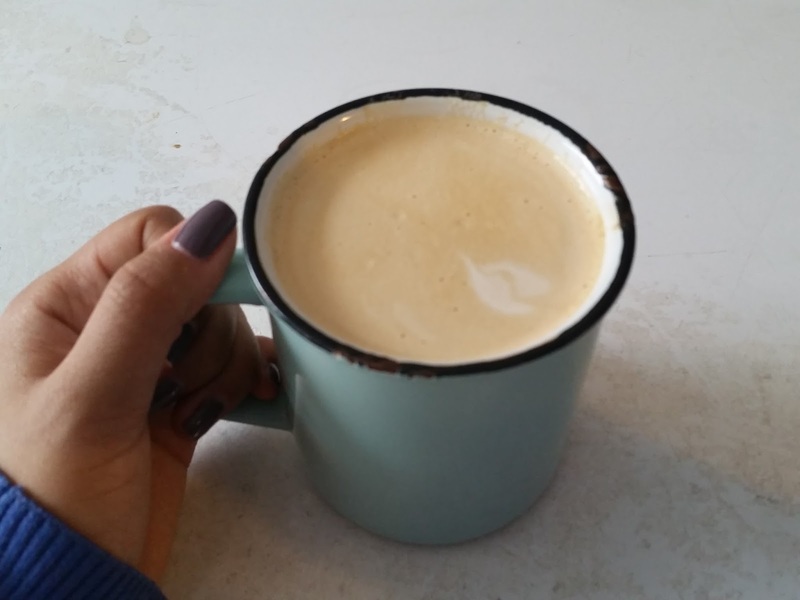 It was such a cold day that the windows were all fogged up and I felt so cozy and comfy with my coffee. After a few solid hours of studying I decided to order some food. The menu looked so good!! 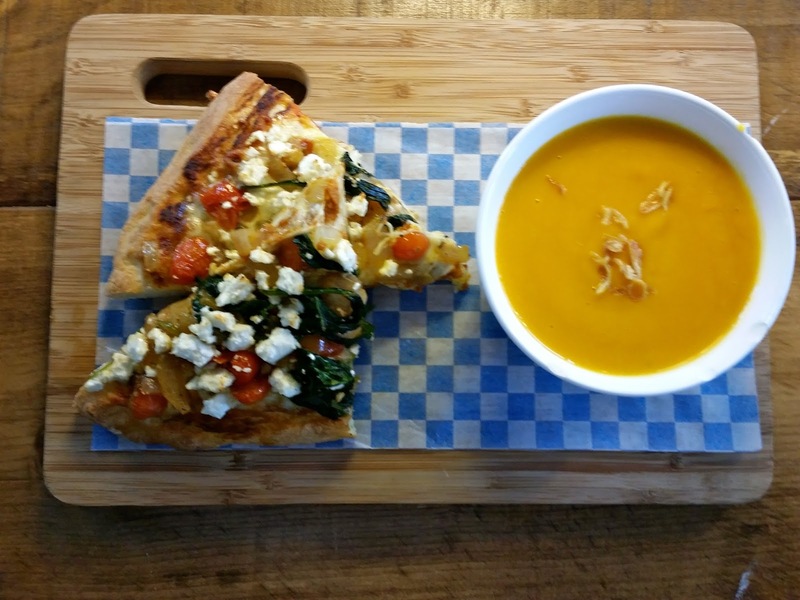 I ordered a carrot and ginger soup with mediterranean pizza. The food was simple but so fresh! I loved that everything was homemade!! This is literally the perfect place to study because you have lots of desk space, great lighting, outlets, wifi, coffee and food. Everything is at your fingertips - what more could you need? Hi Everyone! I was so excited that I had the day off today. It's so nice sometimes to just take a day for yourself without having any plans. I think I'll try to do this every once in a while for mysef! 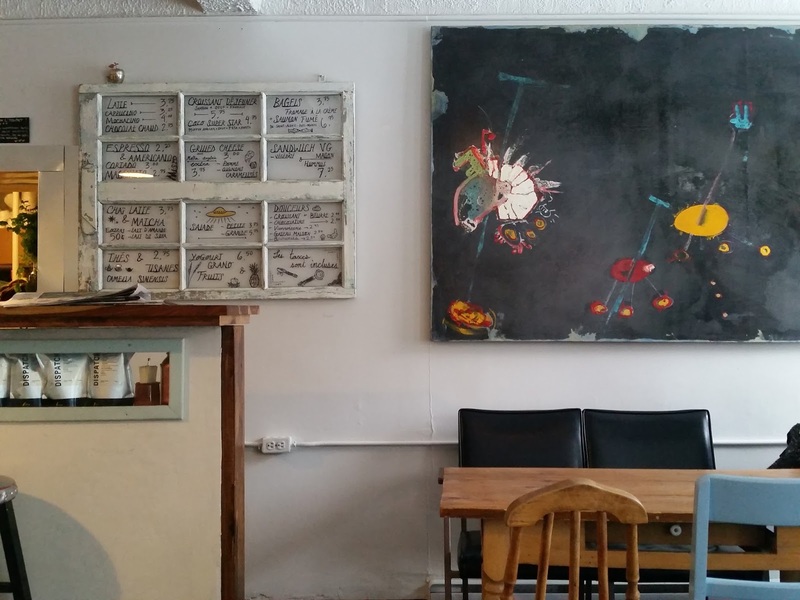 I went to explore the St. Henri area today to visit Allo Velo but found out that they were closed for the winter! Luckily I ran into the owners who said they would honour the ICP when they opened in the spring even though the passport would be expired by then. 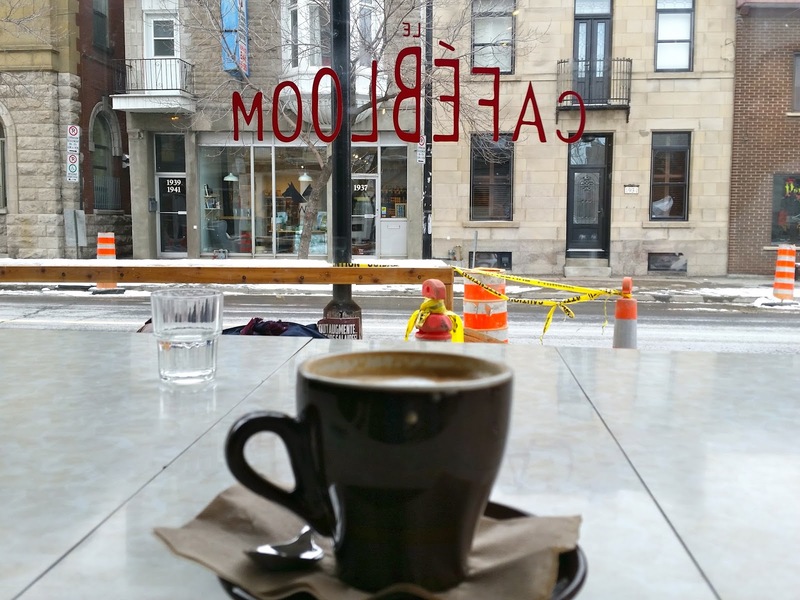 I used my handy adbeus app and found out that I was close by to Café Campanelli. Wow, I absolutely loved the coffee here! I think this may be my favourite coffee so far!!! The latte was so amazing and the milk did not overpower the espresso. This was the most perfectly balanced latté I have ever had. I ordered a lemon tart to go with my latté as well. The menu looked so good and there were a lot of great food options on there as well. 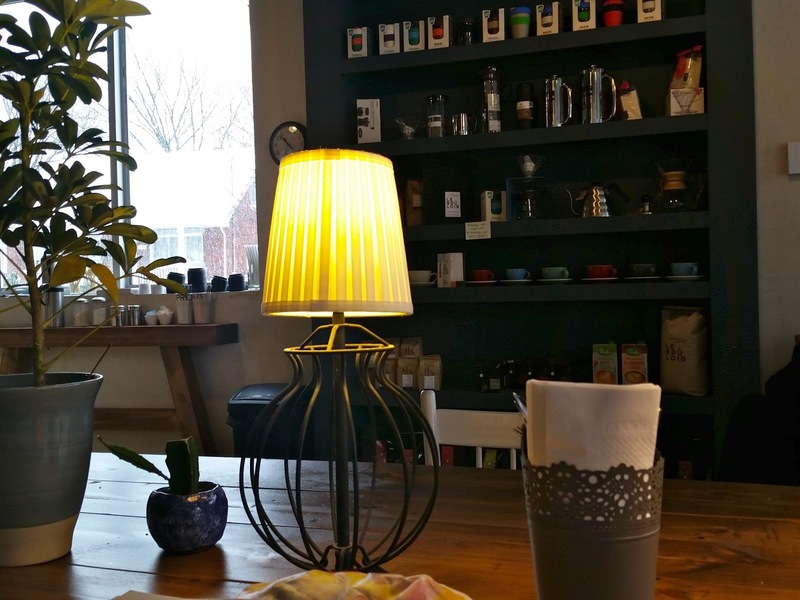 I liked the set up of the coffe shop. 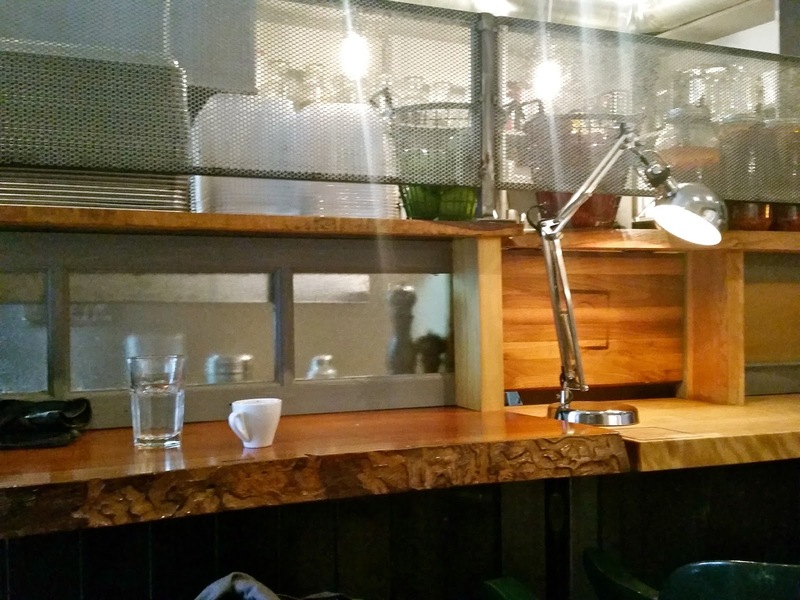 There were bar stools big enough to study with lamps for extra lighting. 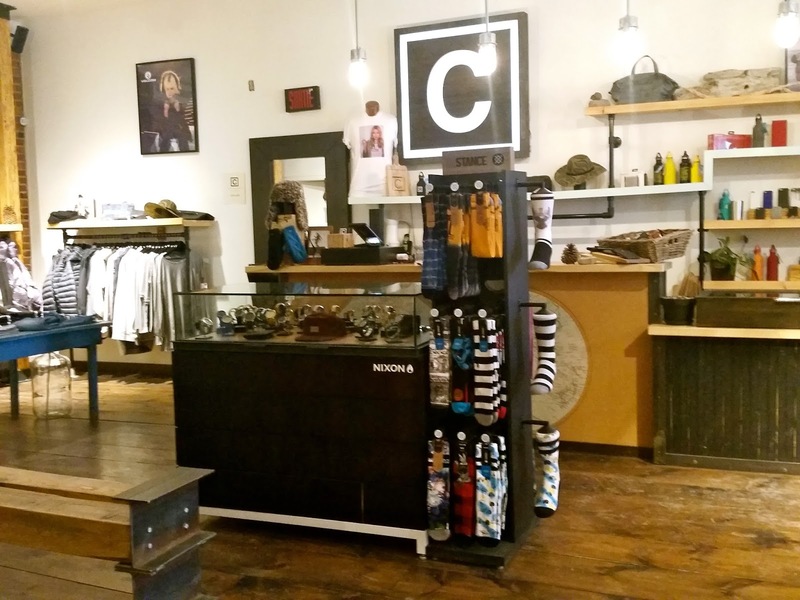 Next to the cafe is an adjoining boutique. This was my favourite accidental discovery ever. I will definitely be coming back for more lattés!!! 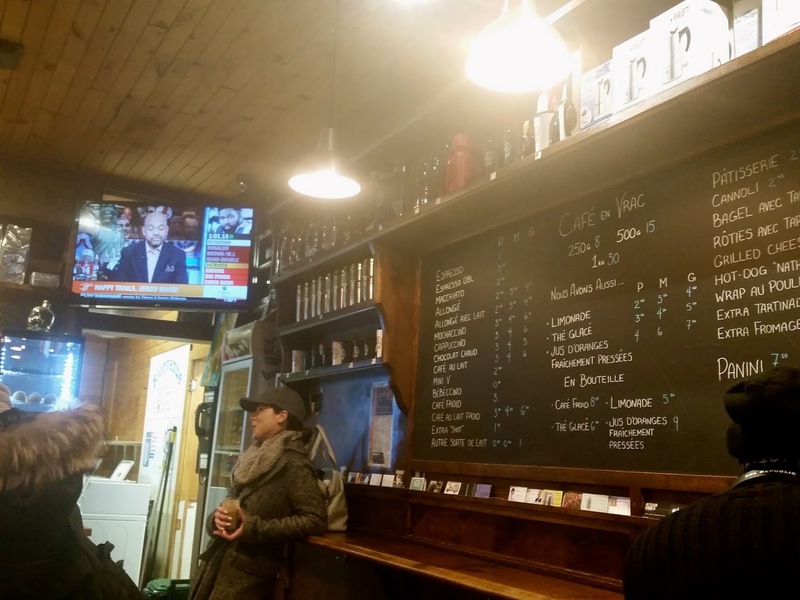 Yesterday I went to Café Vito in Villeray after work with Charlotte courtesy of my ICP! I loved that they are open late every day since it's hard to explore cafés on a week night after work. The cafe itself is pretty small with only a bit of counter space and I was surprised that there were laundry machines in the back of the cafe. The staff at Vito are really friendly but I felt that it's easy for other people to be in your conversation because of the small space. 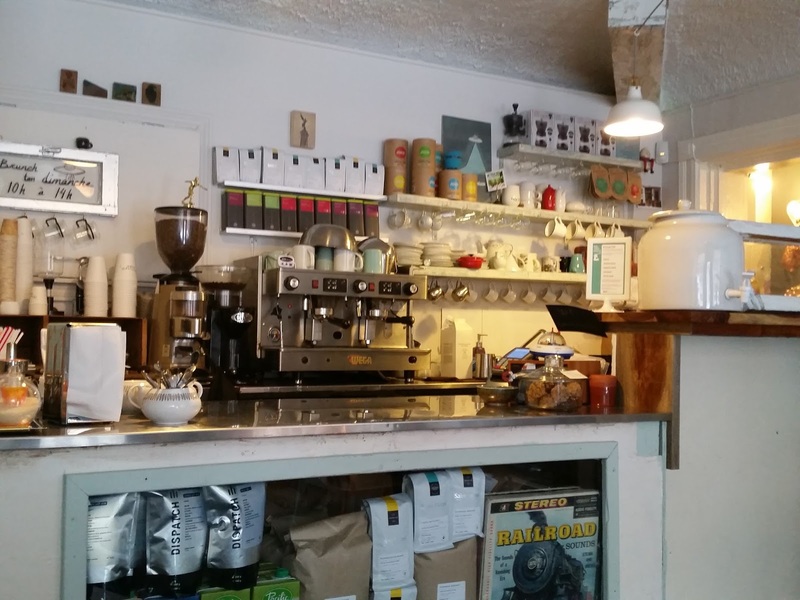 Along the counters there are a few plugs so people can set up their laptops and work away while sipping great coffee. Vito also has free wifi which is great for anyone who needs to work! 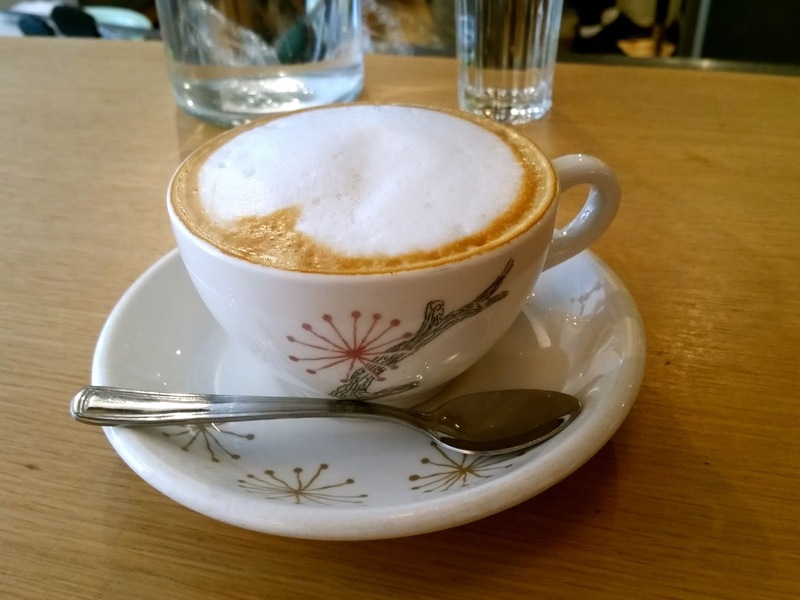 I really enjoyed my latte, and the menu was extensive with lots of food and dessert as well as gelato! They are planning to open a second location in the Old Port so I'll have to make sure I visit that one too! The race to complete the Indie Coffee Passport is on! 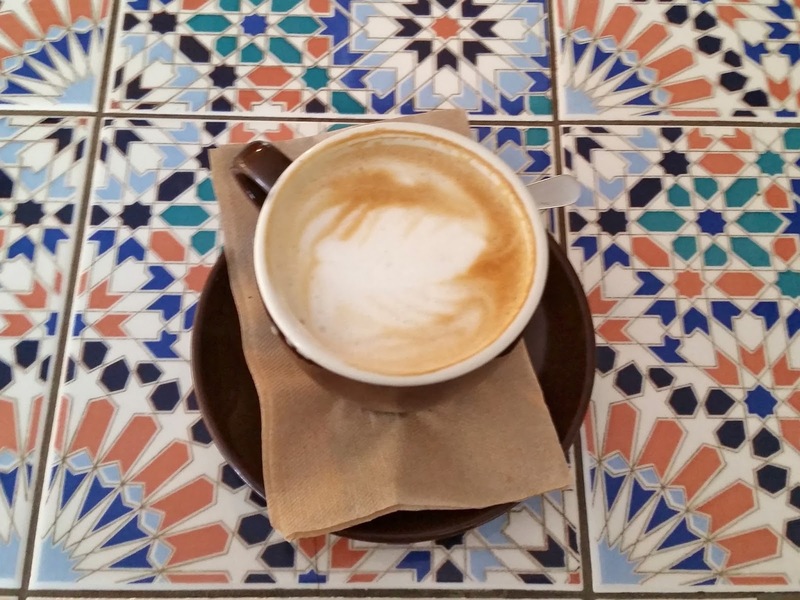 With only 2 weeks to go, I have 8 cafes left to visit in 13 days! 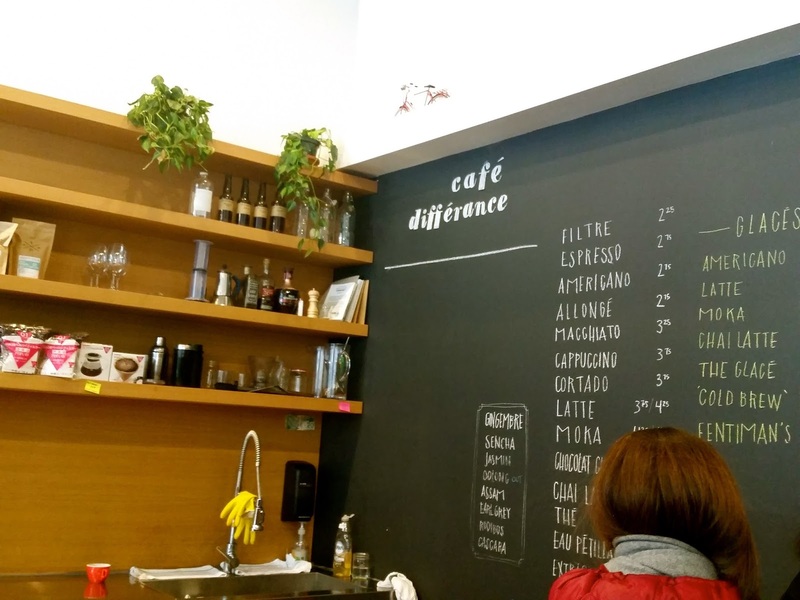 Yesterday at lunch I went to Café Difference with my colleague Charlotte. We both grabbed a latte and squeezed into a little nook to study for an hour. The café itself was very cute but so crowded. 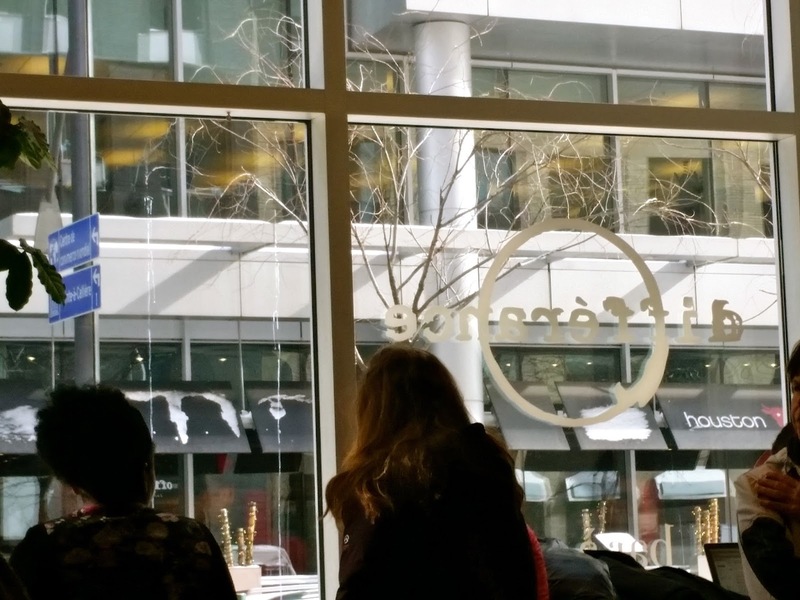 Since the café is located in Square Victoria (financial district) there were lots of business people stopping in for their post-lunch, afternoon pick me up coffee. The setup was very much for socializing, not studying. There was a long booth with tiny tables and a few counters but not enough chairs. Looking back, I could have stood up at a counter and studied, but we were lucky enough to find 2 tables just big enough for our coffee and a set of notes. 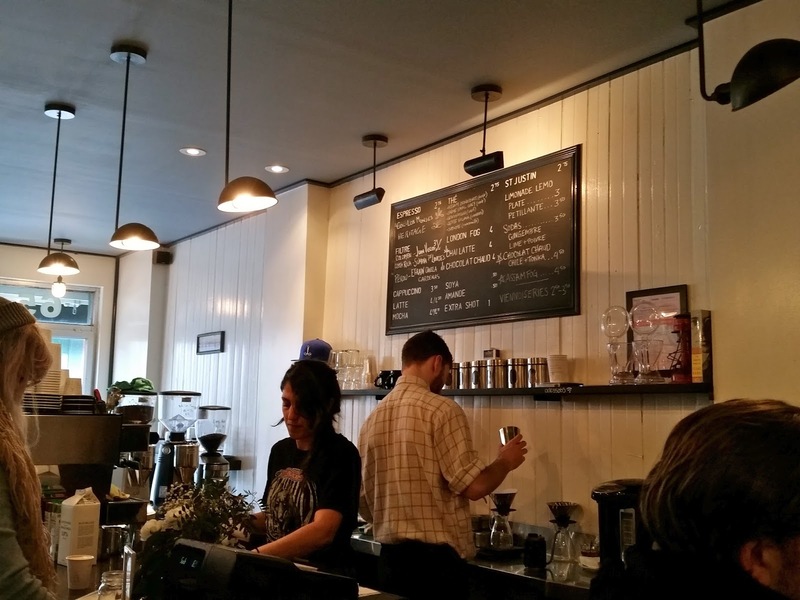 All in all, great coffee and cool business vibe but not a café I could spend hours in. 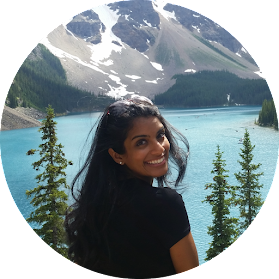 Hey Everyone – I have been all over the place the past little while, travelling both for fun and business! 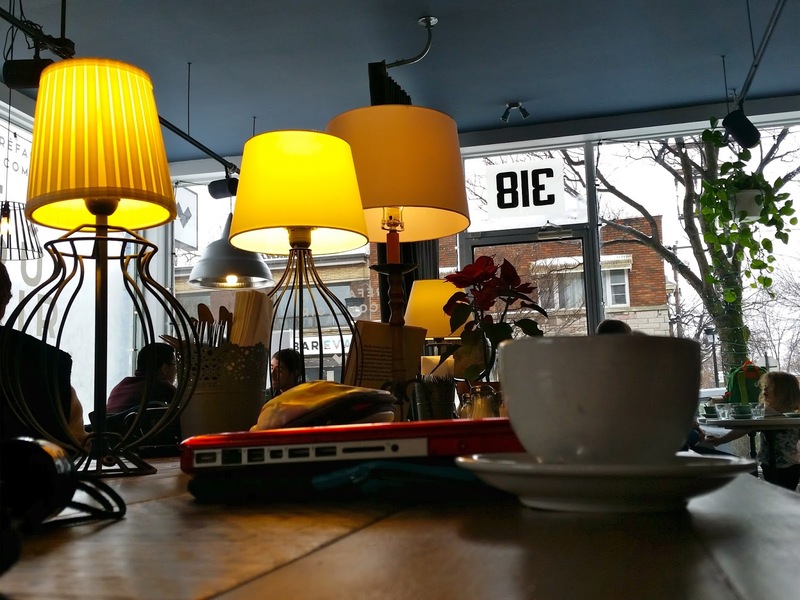 Last weekend I had brunch at Café Bloom with some friends. 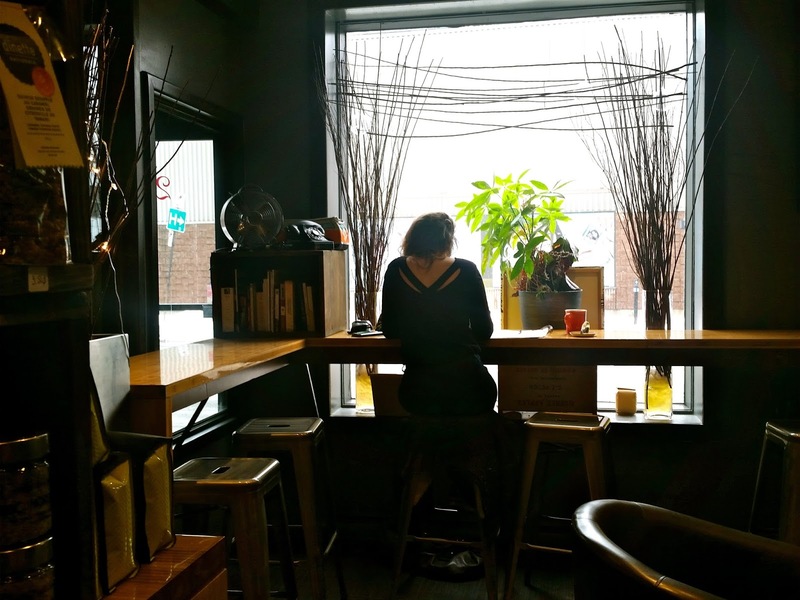 A short walk from metro Charlevoix, Café Bloom is a cute little breakfast spot with amazing coffee! I loved the gorgeous tile flower counters and the overall ambiance. While we waited for the rest of our crew to arrive, we started with our coffee. I absolutely loved my latte. 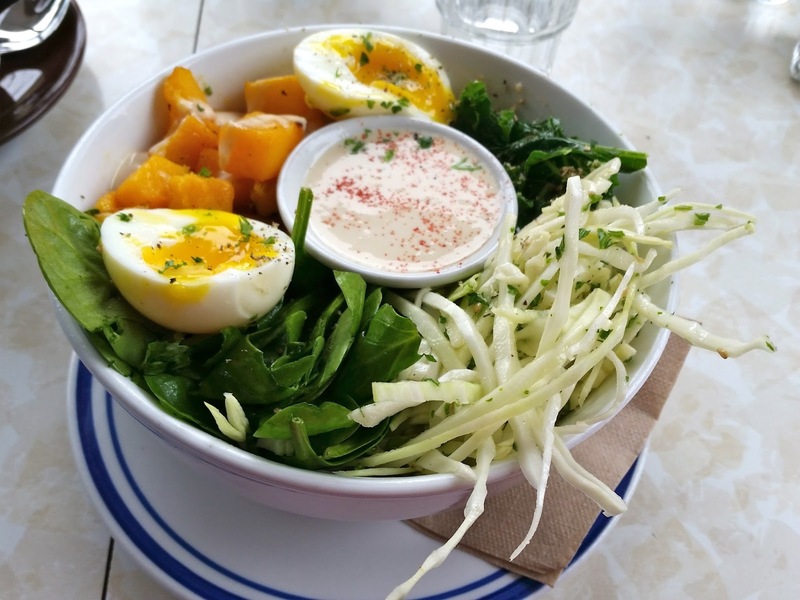 For brunch we all ordered a breakfast bowl: quinoa, caramelized veggies, butternut squash, kale and a soft boiled egg topped with zesty tahini sauce. A healthy choice to end the weekend! There were a lot of different choices on the menu but unfortunately the weekend menu was different from the week day menu. While I imagined this café to be more of a restaurant, there were a few students huddled over their laptops peering into their screens and studying intensely. I’m not sure I would do the same, as it felt more like a restaurant to me. I was also told that Bloom is always packed, so I would feel guilty lingering for too long if people were waiting to be seated for brunch! 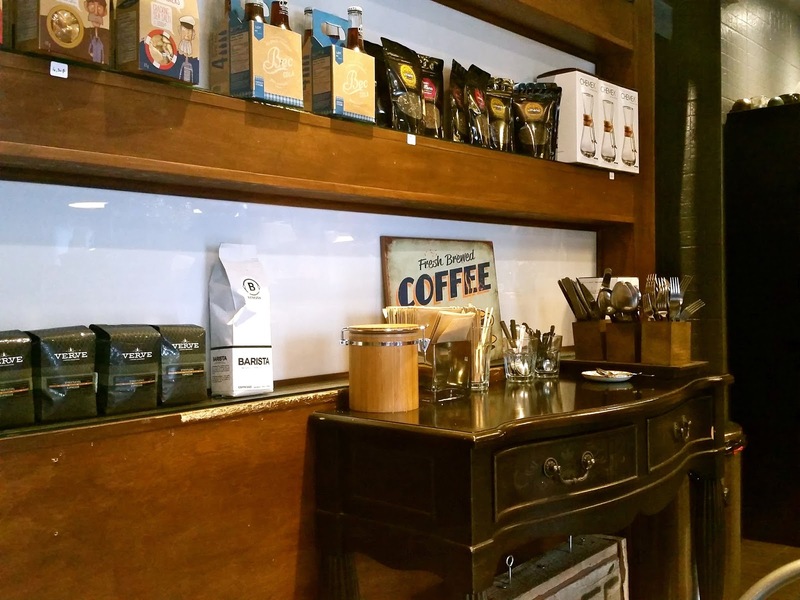 If you find yourself in Point St Charles, or just in the mood to take a fun metro ride Café Bloom is a must!